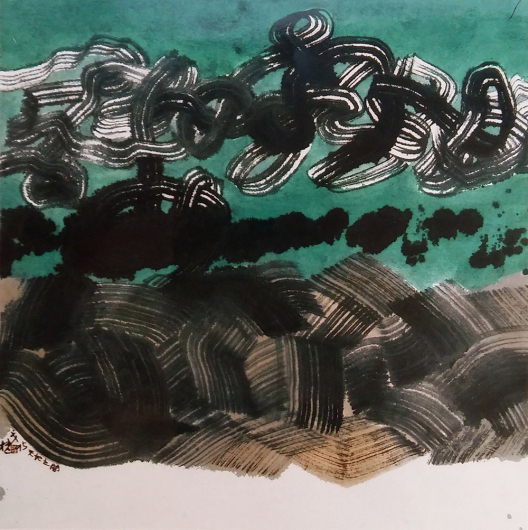 A central figure in the modern art movement for the past forty years, Chu Ko is known for his image of the unwinding knot. His work is featured on the cover of Michael Sullivan’s definitive monograph Arts and Artists of Twentieth-Century China (by University of California Press, 1996), in which Sullivan describes Chu as “one of the Taiwanese artists who have given new meaning to the term wenrenhua [literati painting].” While Chu utilizes traditional iconography and a traditional format and style of Chinese ink painting, his approach concertedly strives to revitalize traditional norms. In 1949, he moved to Taiwan and enlisted in the military, remaining an active soldier for seventeen years. During that time, he enrolled in night courses at a local art college, expanding on his classical education in literature, painting and calligraphy. In 1968, Chu joined the Antiquities Department at the National Palace Museum and became an expert in the field of ancient bronze vessels. It was during the 1970s, with the encouragement of friends and family, that Chu began to exhibit his works. In 1984, following a miraculous recovery from nasopharyngeal cancer, Chu devoted himself fully to his painting. 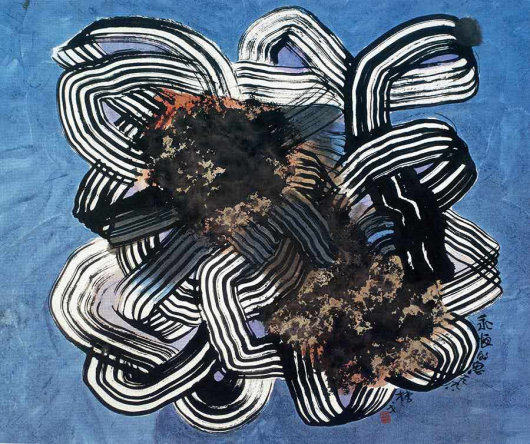 In 1988 and 1992, Chu was selected as one of the two Chinese artists commissioned to represent the Republic of China at the Seoul and Barcelona Olympics, respectively. In the past 50 years Chu Ko has participated in over sixty solo and group exhibitions across the world. Following a retrospective exhibition at the Taipei Fine Arts Museum in 1991, Alisan Fine Arts held its first solo exhibition for Chu in 1992, followed by two more solo exhibitions, one at the Hong Kong Arts Centre. In 2014, three years after Chu’s death, the Cultural Department of Taiwan Government organized the exhibition Walking Through his Paintings and Poems exhibit to commemorate this Taiwan icon. 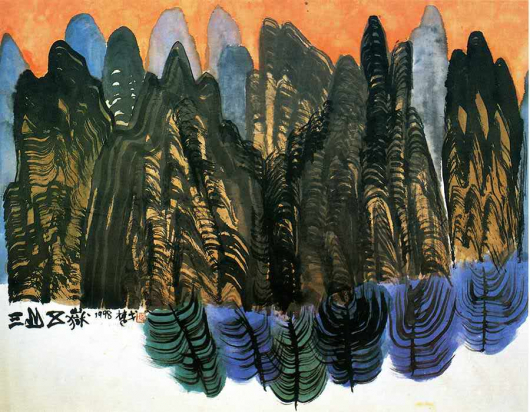 His works have been collected by several important public institutions including the Kaohsiung Museum of Fine Arts, Taiwan; the Museum of Contemporary Art, Seoul; the Olympic Museum, Lausanne, Switzerland; the Art Institute of Chicago; and the JP Morgan Chase Art Collection. 1947 Enrolled in Mi-Ho High School, inspired by the writings of modern reformers and modern poets such as Laoshe, Baijin, etc.